Changing me is I now realise ON-GOING! It has been many years as I have mentioned in previous posts of living overweight and obese that has given me a skewed view of my image. 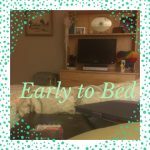 My most recent post is here. and seeing that thoughts are not always true. I already use the Calm app for meditation each day, and often in taking a time-out will be mindful in whichever are my circumstances as I learn to be present and here….in the now. I do not follow those rules of ‘only concentrating on one food and mouthful at a time’ mindfully in eating. 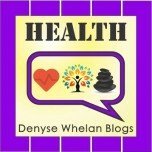 I do now examine and observe my inner feelings (physical and emotionally) about the why and when of eating. I am getting so much better at this! 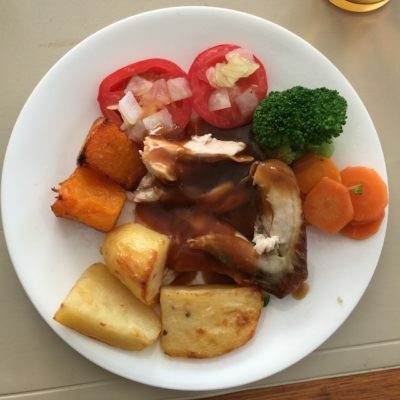 I am also recording what I eat via a free app and it is Australian foods-based and gives me an idea of how well I am doing. As a no-diet person, this feels good to have some control but also to eat within the generous range I have allowed myself. I am using my fitbit to slowly up my steps each week by 500 steps from a base of 6000. 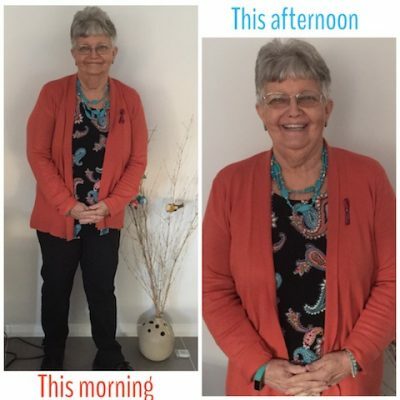 On Tuesday 19 February 2019 I had my 3 month cancer check, and my Professor Jonathan Clark was delighted to see no reason for further surgery (yay for now) and when I mentioned my weight gain since ‘teeth’ he said “that’s good.” Oh, he means that is healthy and I am doing well! 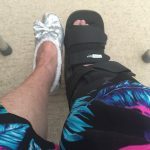 Of course now I get it…but as I chatted with his clinical nurse consultant who is just the best for me, she and I agreed that moving more is a good idea!! On 23 February 2019 I posted this image and the words on Instagram. As a person who was overweight to obese for decades, losing weight pre-cancer diagnosis & post cancer surgeries has been a mental issue. I realise to others I look well, healthier and ok now. I acknowledge I was 5kg+ lighter a year ago & pretty darned miserable at times because of eating restrictions due to 4 cancer surgeries & reconstruction inside my mouth. FOOD from a variety of offerings! My shopping for over 14 months took me away from foods I missed biting, chewing, crunching & savouring. From 21 Aug 2018 this changed. My upper prosthesis was fitted. 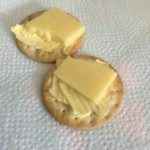 It was novel to try the foods I’d missed: cheese on a cracker took minutes to eat. Then over time as my mouth & my brain handled the different foods better it was/is great. It took me ages to eat these in my first days with teeth! 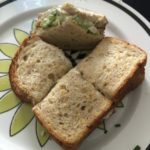 A ‘normal’ sandwich is possible…It take a while to eat but all good. 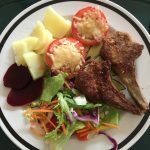 Crumbed Cutlets and some vege & salad. It was time to choose a better balance between foods that nourish & are enjoyable & to increase my movement each day. This mindful eating plan I’ve made up is working for me. I am now understanding the WHY of how I used food to deal with emotions & that it does not work like that MAKES so much sense! Keeping myself active by changing my approach to movement. Upping the steps weekly by 500 a day, starting at 6000 a day. 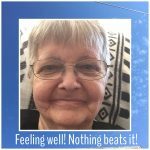 Most of all I want to add is how grateful I am to be well after nearly 2 years of oral cancer & that I can continue to learn best how to care for myself emotionally & physically! 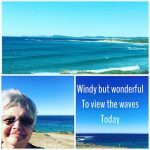 Changing the voice in my head…. the inner critic…to low volume or mute whenever she begins to shout! So have you ever taken steps to change you? Joining with Min for Zen Tips Tuesday here. and, of course, Lovin’ Life with Leanne here each Thursday. 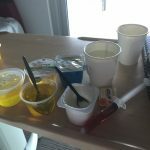 Eating With No Teeth*- Head & Neck Cancer. 17/2019. 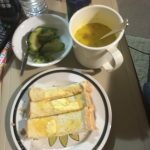 Eating With No Teeth* – Head & Neck Cancer. 17/2019. 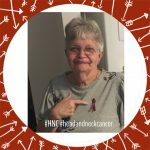 Update on Being a Head & Neck Cancer Patient. Oh I “did” have 8 teeth*…in my lower jaw and they remain. Yay for “some” teeth. 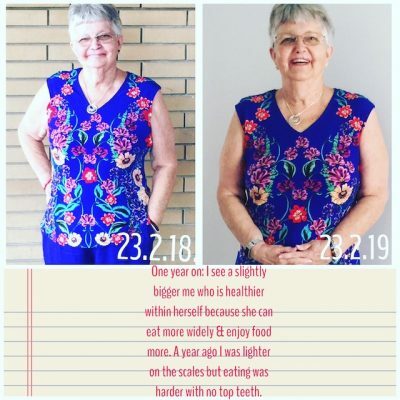 In the past year I know how far I have come as far as eating is concerned since my Head and Neck Cancer diagnosis in May 2017. 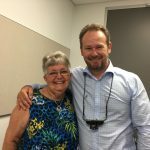 I have been delighted to have an upper prosthesis of teeth now screwed into my abutments in my jaw. They were attached on 21 August 2018. OH HAPPY day….it really was but I had many eating lessons to come and I still do. More on that in a future post. 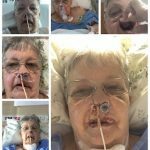 Day 1 post surgery to around Day 8. Back to those months when I was post-first surgery. 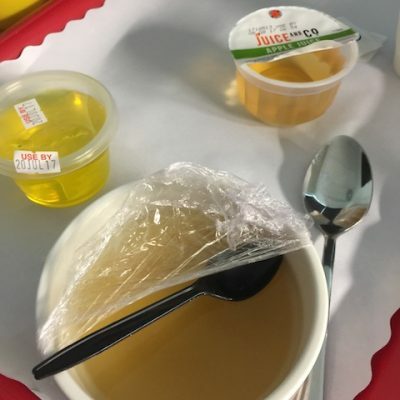 I recall being fearful of what it would be like not to eat but with a fluid drip and then a gradually introduced naso-gastric feeding tube my body was cared for. My mind did accept what it was until around Day 7 post-surgery when I recall feeling hangry. You know: angry because of hunger. So, when I was given the chance to see if my mouth (and brain!) remembered how to sip water and my throat allowed it to swallow…remember all of the inside of my mouth had been affected in some or many ways but my reconstructive surgery…it was heaven! Still with feeding tube in but ready for liquids soon. My first sip of water: to see I could swallow without leakage. All good. Day 9 and Day 10. Discharge on Day 10. 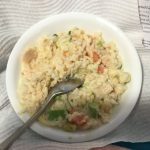 First meal in hospital. Then next 3 times I did not enjoy it much. Early days at home. First Weeks. I have IBS and with an empty gut receiving food for the first time in a long time, as well as the prescription of a far too strong for me anti-biotic on the morning I left hospital as a “your drain in your leg looks infected” ….my gut (and I) were just not happy in that first 10 days home even though I was starving. Poor husband did his best to please, and I also tried to be helpful but it really was a challenging time. 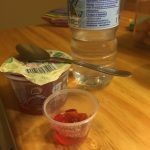 When my GP unravelled the cause of the massive diarrhoea episodes I had, he told me to forget any (hospital dietitian suggestions of ) liquid meal replacements, protein additives and eat what I could and felt like. The relief was amazing and coming off the giant dose of anti-biotics helped as the leg looked fine. The toast in these pics really wasn’t consumed but I liked ‘tasting what was on it. Avocado and soup were good friends, and also peanut butter eaten off the spoon. 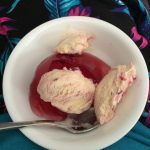 Jelly and icecream have never been a favourite but they provided so much mouth comfort with their smooth coolness. Tiny pieces of avo, some PB and toast. The next weeks turned into months. By the time the second week at home was over, despite my sore leg, I was able to do some meal prep. It frustrated me that I depended on my husband’s kindness and labour as I wanted to contribute. Eventually I worked out how I could have some say and also make some meals that would work for me. We mostly ate separate meals anyway because of his health. I also had many types of soup: homemade vegetable soup, pumpkin soup & tomato soup. For someone who was never a cereal girl at breakfast, weetbix and milk were/are my go-to foods! 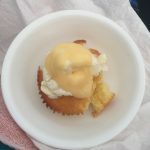 The next day, after the first fluids above, added custard. Not a fan but amazing what you can eat with few choices. Almost ready for home! 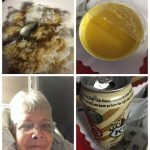 Rice with some sauce, pumpkin soup, ginger beer was ace, and LOOK no n/g tube. At home: how to swallow a BIG pill. Inside some jelly. First ideas for red meat and protein. 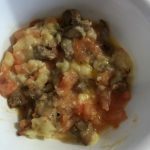 Mince in a savoury sauce, with blended potatoes: ordinary and sweet on top. Just like a meat pie with no pastry. Froze very well too. Looks messy,.tasted delish. A very slowly cooked casserole of beef with added potatoes and carrot well-done, went down well. Froze it as well. 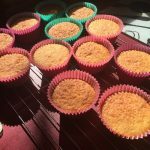 Little cakes like these, iced or in this case drizzled with lemon & sugar were wonderful treats warmed. I ate these with a spoon as I had no way to bite. 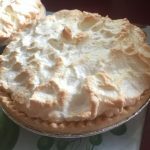 A few months into recovery, I made a couple of these: old faves: lemon meringue pie. The store bought crust kind of broke up in my mouth – great! 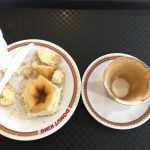 On my first outings to the shops after 8 weeks away, I tried coffee and donuts. Yum. 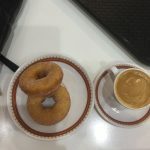 This is how I “ate” the donuts because I could not bite. I just cut off the edges to fit OK in my mouth and they went down well. The outside is the best anyway! Coffee = yummo. Made my day every day. My ‘taco’ in a bowl. 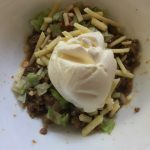 Made taco mince with packet, then added avocado, tomato ‘insides’ as cannot eat skin, grated tasty cheese & sour cream. 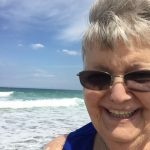 Why this post about eating as a Head and Neck cancer patient? 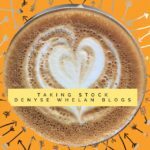 I have written about my management of eating in two posts. Part one is here, part two here. 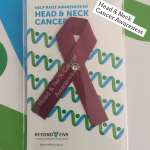 Why I decided to do this more detailed one is for any newly-diagnosed head and neck cancer patients who come here to read and view. Sometimes it is the head and neck cancer patient’s carer who needs some ideas. 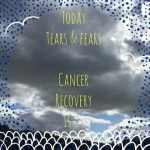 It can be very overwhelming and confronting when something as normal as eating & drinking (let alone speaking and swallowing) is changed dramatically via a cancer diagnosis. I was fortunate in many ways. I had a limited time with only a naso-gastric tube before returning to eating and drinking as well as I could. 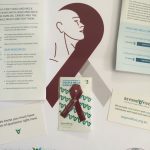 I know some people have long-term eating and drinking challenges following different Head and Neck cancers and procedures. My health is good. 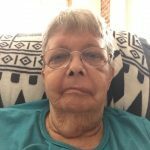 I am looking to the 2 years marking the first cancer surgery in July 2017. 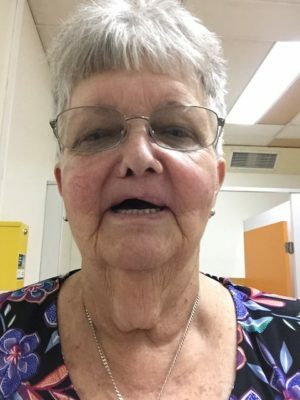 What I know is that I may have to modify my eating again over time if more surgery is prescribed inside my mouth to enlarge the space between the lip and ‘teeth’ on upper prosthesis. How To Seek More Information On-Line. 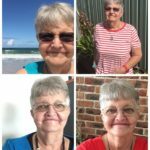 In my case, the words and written information from my Chris O’Brien Lifehouse dietitian helped me. 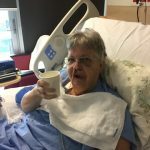 I learned about the important of protein and fat in a post surgery diet. 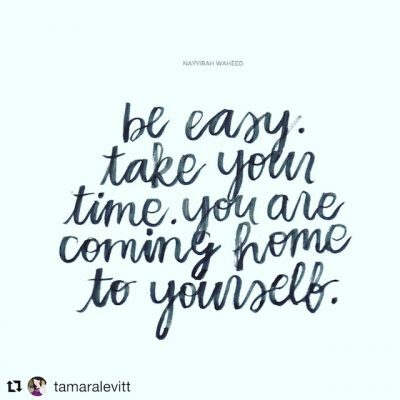 I also learned to value-add and I am grateful for that. 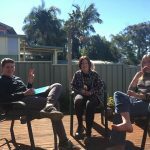 For information on Chris O’Brien Lifehouse, go here. Each head and neck cancer patient needs to be guided by their professional team. 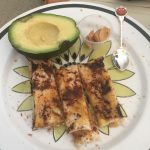 The site and organisation called Beyond Five has a comprehensive page of information and this takes you to pages on nutrition with links here. 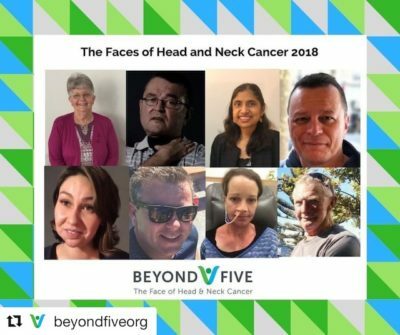 Beyond Five is the organisation I am working for as an Ambassador in 2019 to raise awareness of Head & Neck Cancer. This is a link to finding avenues of supportive care on the Beyond Five website. There are support groups to help you as well. Here is the link, again from Beyond Five, to those in Australia and New Zealand. Correct at the time of posting. 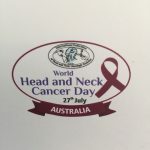 World Head & Neck Cancer Day Is International. 27.7. Recently it was World Cancer Day and I submitted my story which was published here. 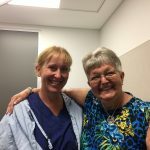 This post is going live on the morning I will be driving 2 hours to Chris O’Brien Lifehouse, donating some craft supplies to their Arterie program, having the first meeting with Beyond Five for 2019 and then visiting my Head & Neck surgeon, Professor Jonathan Clark and Clinical Nurse Consultant & Surgical Assistant Sr Cate Froggatt. After my cancer check, I will be better informed about ‘what’s next’ and then drive myself back home! 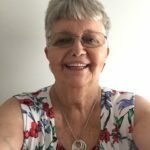 UPDATE: the meeting went well and provided much for me to discover as I move into my role as Ambassador to Beyond Five, and then my cancer check went well too. 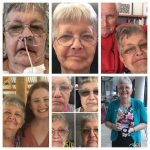 My professional team told me the inside of my mouth looked better when they last saw me early January and no surgery is required (I always add, at this stage…as my journey has had some detours!) and I will be back for a 3 month cancer check in mid May. That will be 2 years since diagnosis! Wishing you well, from me. a head and neck cancer patient, to patients, carers, family and friends. 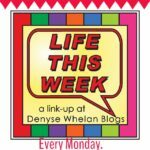 On Thursday linking up with Leanne for Lovin’ Life here. 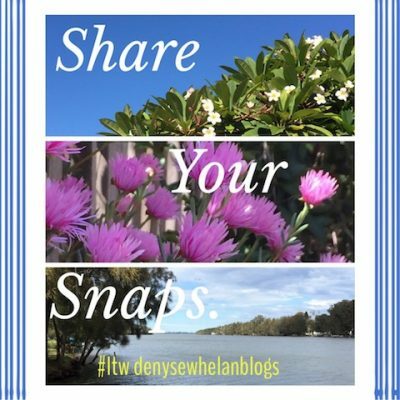 Share Your Snaps #1. 5/51. #LifeThisWeek 12/2019. Every 5th week is is photo-centred post. Not wordless for me, however, because….just because! Oh MY goodness it is great to eat real food again. 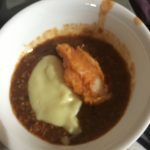 This took a LOT longer to eat than before I had cancer but it was wonderful. 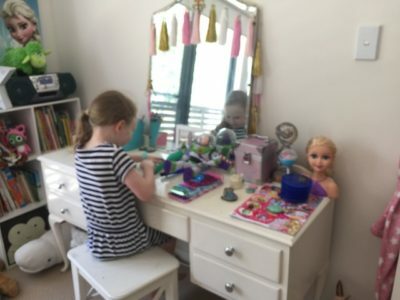 My 6th grandchild & 4th granddaughter at ‘her’ dressing table which was mine as a teen, then stayed at home for Mum to use till 2007 and then given to my daughter’s family. It “still” has the Sydney Uni transfer on mirror I put there in 1969. because that was where my boyfriend at the time went. 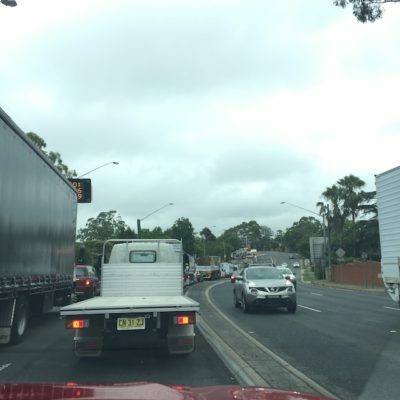 And Pennant Hills Road Sydney…I missed you (not)…on my way to M2 to get to Westmead for a January mouth check. 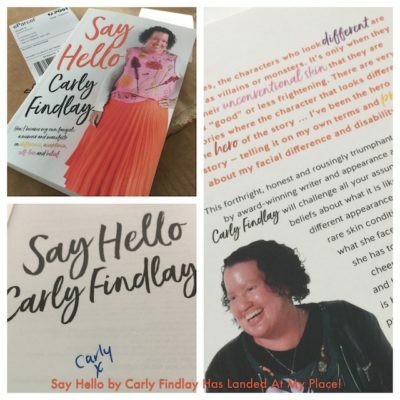 Blogger, Author and Appearance Activist Carly Findlay’s book is here. Launches are occurring all around Australia. 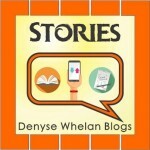 I first heard and met Carly at the Inaugural Aussie Bloggers’ Conference in 2011. My copy, on pre-order, is being read by me now. An excellent memoir. 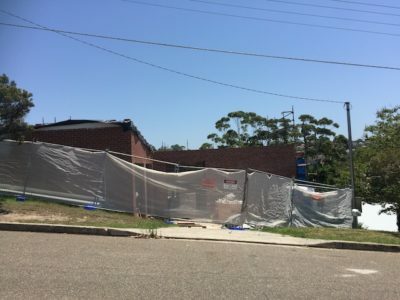 On our way to see the family for our grandson’s 18th we drove through roads and streets not seen before: with buildings and shops and houses and apartments and this: a new school! Wow we thought. And a week later we got some pleasing news. 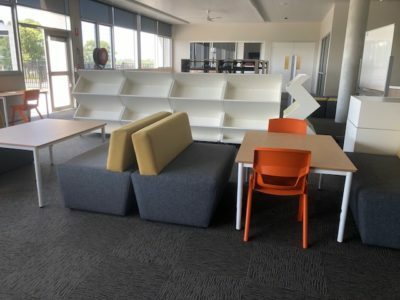 Our daughter, teacher-librarian, has been appointed to this brand new school and her youngest has started there too now. Here is the library (only one part!). What an amazing courtyard, and space! 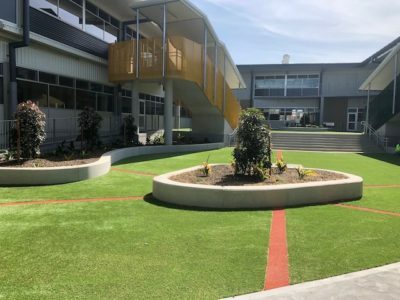 It’s a brand new Public School at North Kellyville. 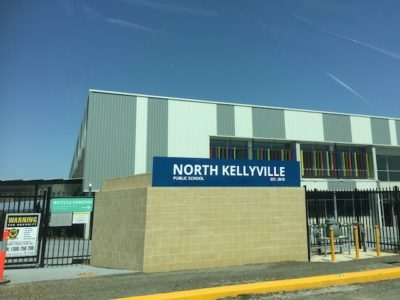 We once lived in Kellyville and the land on which the school is built was grazing and acre blocks. 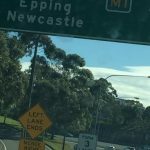 So much has happened development-wise since we left north-west Sydney 4 years ago. 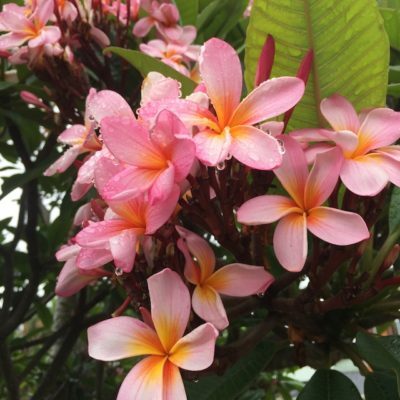 I miss the white/ pale pink frangipanis we had at the previous rental house but am definitely attracted to the colourful ones these days so when I saw these on a drive through The Entrance I HAD to stop and capture their beauty. 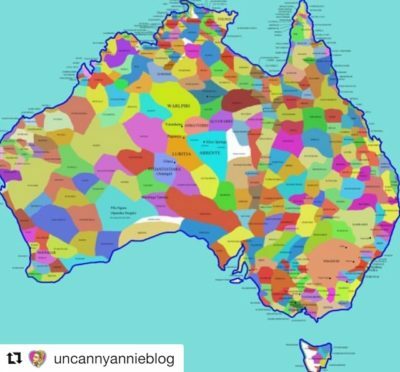 This map of Australia caught my attention and that of many when it was re-published by me on Australia Day. Each coloured section represents a country for the original custodians of the land. 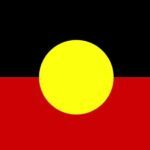 The Aboriginal people we lived with and taught helped us to learn far more than we might have any other way. Toothless again. It was temporary and of course, on a break from the prosthodontist chair I took a selfie. Just goes to show how much upper teeth make my smile. 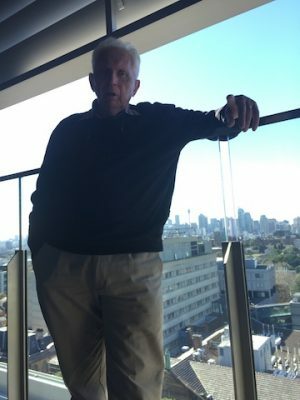 An unusual spot for me on this trip to Sydney for our grandson’s 18th Birthday lunch. 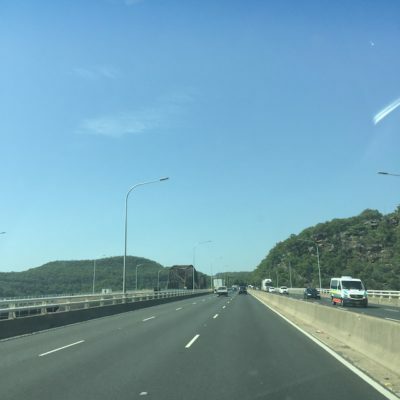 I am in the passenger seat and got to film crossing the Hawkesbury River bridge. It is a marker of sorts for me of leaving the coast and heading to the big smoke. Dad: I came to share some food goodies and meals for his freezer just a few days after his 95th birthday. 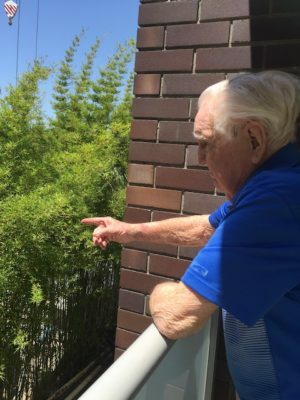 He is on his balcony pointing to the BIG complex that Dee Why RSL is building on the border of the Independent Retirement Complex where he has lived contentedly for almost 8 years. After buying Dad’s house in 2011 we knew the architect owners would eventually renovate it. It still has come to a shock to all of the family how different it looks already. That is progress of course. Dad is not keen on seeing the updates. 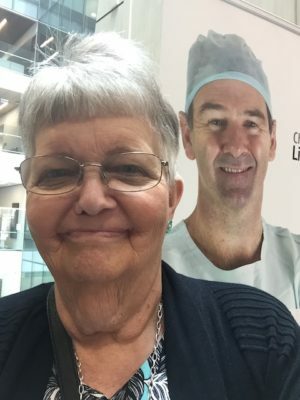 Early January I had an unexpected visit to Chris O’Brien Lifehouse (image of the late Prof here) to have some extra skin growth check by my Professor. It is all OK but that day was a wake-up to reality for me. Anytime something “is” different it will be checked to see if it is “cancer”. Today, Monday 4 February 2019, is World Cancer Day. Catch up on more here. 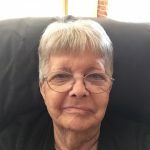 I hope that if you or anyone you know does have a cancer diagnosis you would be aware of the many more successful treatments and prognoses these days. It does, of course, depend on the type and stage of cancer when diagnosed. 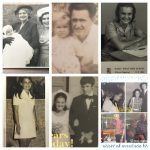 It doesn’t detract from the seriousness of course but to someone who has been through my recent cancer experiences I have found out more than I ever thought possible about a cancer diagnosis. and Now…thanks to good healing and my professional team. Best wishes to you all this coming month. Next Week’s Optional Prompt: 6/51. My Worst Purchase. 11/2/19. I Am Grateful Today. 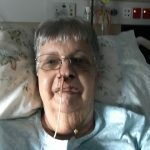 Cancer Surgery #1.Part 3. 2017.98. I Am Grateful Today. Cancer Surgery #1. Part 3. 2017.98. 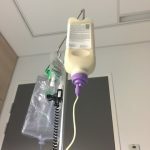 For those of you who have been following my story of having cancer, the surgery for cancer and the recovery, this post is bringing you up to date with my first month at home. Going home! Are there any better words when you have been in hospital? I do not think so! 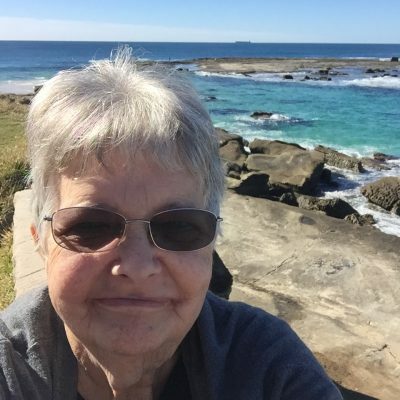 I spent the whole of the journey back home being very grateful for my discharge from Chris O’Brien Lifehouse and being entrusted into my loving husband’s care. I think I talked all the way home as it had been some time (ok, 10 days!) since I had been outside the walls of the hospital. The following photos will tell part of my story of gratitude. the yin to my yang, the calm to my panic, the voice of reason to the voice of worry, the patient man for the patient who is often less than patient….I dedicate this post to him. 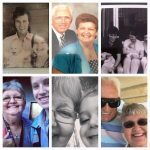 And even though he dislikes the attention, I have told him often enough that without his care, love, compassion, practical skills and commonsense my time becoming accustomed to have cancer and facing the serious surgery would have been much, much harder. 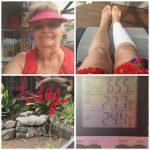 Here I am …within one month even I can see the differences and I know I feel different inside and much more ‘like me’ so I am incredibly grateful for healing time, a good body, great medical and surgical support and my outlook! 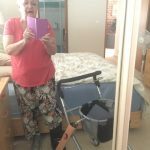 Taken on 12 August 2017, 4 weeks after my arrival home from hospital. I am most grateful for YOUR support and care via your comments, your Facebook updates and those on Instagram. Thank you all! 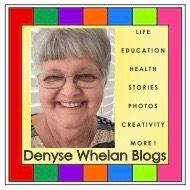 Joining with Kylie Purtell for I Blog on Tuesdays and Leanne for her link up called Lovin Life on Thursdays. The gratitude post in photos! On the way…to the M1! M1 leads to HOME. 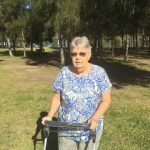 My ‘first’ venture with this walker at the ‘loo stop at the Hawkesbury River. 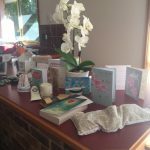 Some of my lovely cards and gifts for which I was very grateful. Selfies done most days helped me measure progress. Look! I am standing for taking a selfie. I became quite unwell later this day with the effects of the anti-biotic. Grateful to stop it!! Yes, I miss my smile but I can see glimpses of it re-appearing so it is good to take pics. The visits by the community nurses are helpful for changing the dressings and examining the wounds. I am in bed most happily by 7 pm. So grateful to be outside again and taking pics of my flowers. 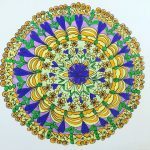 Grateful for making mandalas. These kept me peaceful and mindful both in hospital and at home. Visits from grandchildren rock my world! 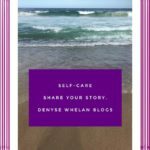 Yes, there are days that I am sad and I am grateful to be able to express my fears to my husband, to my GP and to write about them. 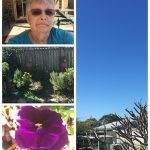 Today is Monday 14 August 2017 and I feel the best I have since surgery. My dear husband suggested that I might actually be ready for my first drive in 6 weeks today. And I was! It felt OK and it was the beginning of further independence. But he says he will still do the grocery shopping ..yay!